The Big Red Couch | An RPG Podcast In Which We Take Random Ideas And Turn Them Into Runnable Games. Mostly. “Witch Planet Soccer” was not a popular option, getting no votes. “It’s All Downhill From Here” picked up a single vote over on WeMe. “Tomb Temperature” was the favourite on the Big Red Couch site, with three votes. Craig keeps thinking of ideas he really doesn’t want to make a game of. What happens when the worship band for a Cthulhu Cult get noticed by a producer & start to make it big? What about when the band start to see that there’s a much bigger world out there, and want to move away from the cult that’s literally in their DNA? What happens when your quaint & folksy chant to Dagon goes Platinum. And they left off the portal-closing hymn because it didn’t fit the back-beat. 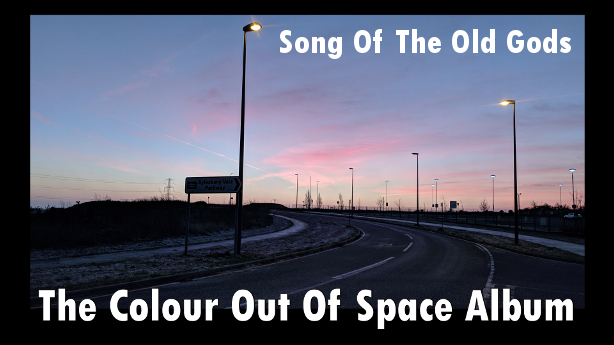 Nobody know who the band Song Of The Old Gods were, nor why they chose to release so few pressings of their Colour Out Of Space album. What we do know is that odd things happen when you play more than one copy at once, and someone out there is trying to collect them all. Becoming the Imperial Gardener is a huge honour, but maybe not a welcome one when all you really want to do is work alongside your colleagues to tend plants and create a beautiful space. The Royal Gardeners don’t prune plants, but people, working in secret to weed out disloyalty. To stop them from getting too powerful, they’re sometimes ordered to find and eliminate another gardener. Garden Royale: A team of intrepid gardener-adventurers seek to make THEIR garden the best, even if it means going to dangerous places to bring back exotic & predatory botany. Garden Royale Fiasco: A game of lofty horticultural ambition and (probably) terrible outcomes. The Emperor’s New Grove: Teams of Royal Gardeners have been out there terraforming worlds, creating new habitable planets for the Empire. It’s promotion time, and the Court is touring the new worlds, deciding which one will be the new Imperial Capital. The Royal Gardeners are responsible for directly interfering with the time line to ensure the future of the Emperor, pruning timelines which could bring the Empire down. 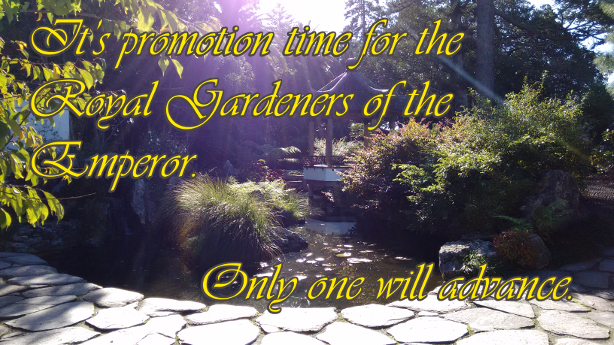 Promotion time is the moment where the Emperor needs to choose which future to pursue. What’s the next episode prompt? Which prompt should we tackle for episode 122? Behind The Screens At An Ageing Arcade, Videogame Characters Try To Keep The Machines Running & Cover Up Glitches Before Anyone Notices. In Desperate Times, A Psychic Blue Whale & A Team Of Sea Creatures Take To The Skies. What should we use for the prompt for episode 121? Which prompt should we tackle for episode 121? Audient Contribution! InSpectres hacked into a renovation contest show. …rejuvenate a legitimately haunted dwelling, taking both the needs of the living and the dead into account? In a fusion of a reality TV shared house and an escape room, the contestants must work together to succeed. But there seems to be one more contestant than expected and more questions than answers. 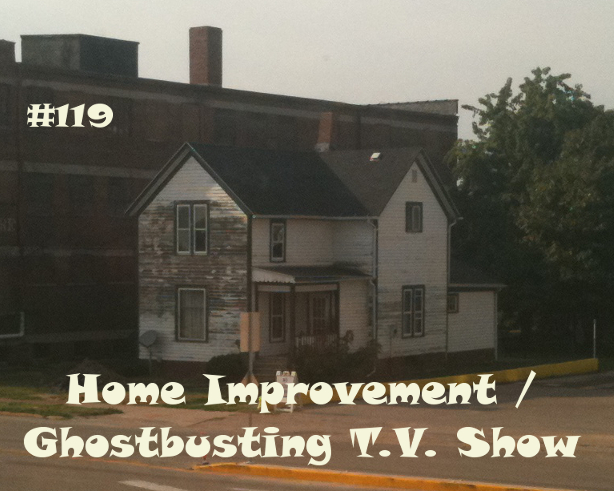 Tune in to a local cable TV show about enthusiastic amateur exorcists. Is it comedy parody or a stealthy spiritual defense outreach program? Battle Junky Vampires on the Mean Streets of Monstertown! MeWe – A candidate to replace G+, this platform is trying to focus on user privacy controls. New Twitter Feed – This feed just has episodes and other announcements to allow listeners to keep up to date with the podcast. 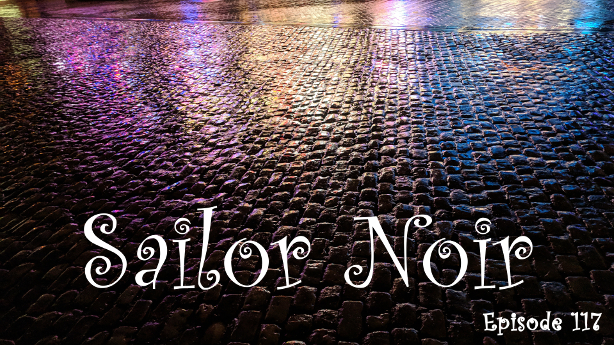 Update: Also, a shout-out to James David Nicoll for coming up with the prompt (check out his book review site) and our tireless contributor, John H. Reiher Jr. for passing it on. Genre-themed Librarians battle the forces of evil. Quietly. 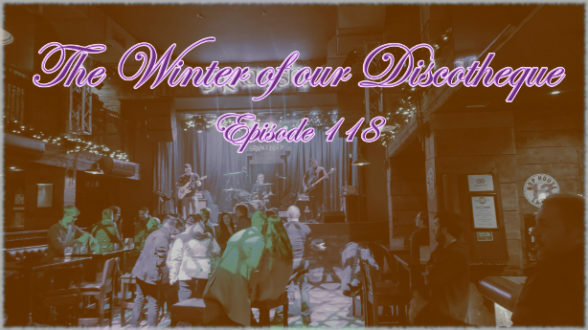 A venue shared between the Summer & Winter Courts of Faerie transitions from a generations-long reign of summer into an unexpected winter primacy. A nightclub which serves as a refuge from the dark. Plucky clubbers work together to save their beloved nightclub, without 100% understanding the backstory as to why it’s being sold. Strange happenings at the all-ages venue need to be investigated, even though that place is totally lame. Also, that super-hot new kid might be there. Is there a space for a Meddling Kids vs. Criminals game where harming the kids is simply not done, and the surprisingly ethical mobsters instead use social pressures to keep the little brats in line? are capable of so much, but can you restrain your abilities well enough? Sailor scouts from multiple dimensions converge to confront a terrible threat. And their own bizarre counterparts. Travelling between remote communities, an amateur detective attempts to solve mysteries in bleak and harsh environment without completely disrupting the finely poised community. An isolated space station is stranded by the changing fortunes of trade and technology. Can the inhabitants work together to keep the lights on and everyone alive, or is it too late for that? Turf war between renegade Magical Girl gangs is ugly, ugly thing.